If you liked this show, you should follow The Don Smith Show. Attorney General Bill Barr used the dreaded "S" word this week, as he announced the DOJ would be looking into claims of spying of Trump Tower during the Presidential election. Listen to my first interview with then candidate Trump speaking from his desk inside Trump Tower and decide for yourself. 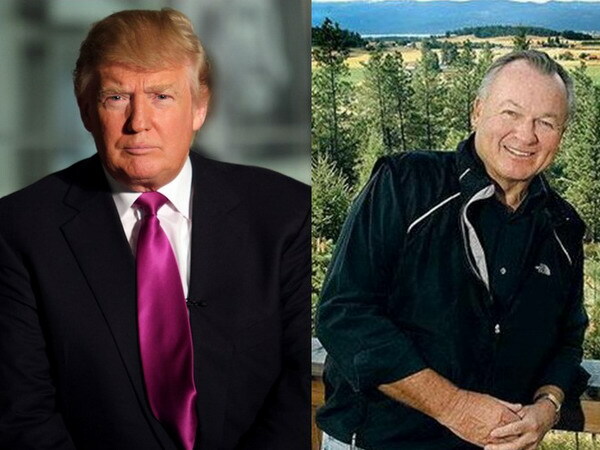 General Paul Vallely will also be here to talk about current foreign policy issues, and People's Pundit Daily Editor Richard Baris also returns with his take on the Democrat candidates for the 2020 election, and all the latest economic data. Of course we'll have our weekly "Vets in the Fight," and all the latest conservative news. The Don Smith Show “where it’s ok to be a conservative,” brings you the most in-depth coverage of all the latest political news. While the liberal media currently dominates the airwaves, now there's an alternative. Listen to The Don Smith Show every Saturday at Noon ET to hear great interviews with people like President Donald Trump, Ted Nugent, Dinesh D'Souza, Col. Allen West, Charlie Daniels, Gov. Scott Walker, Dr. Ben Carson, Chuck Woolery, Ben Shapiro, Jon Voight, Deneen Borelli, NRA President Jim Porter, Victoria Jackson, and many more leading conservative voices. Don Smith is a veteran of the US Navy, today he hosts the "Don Smith Show" every Saturday at Noon ET. He is also the President of ACS Public Relations firm, handling some of the top conservative personalities in America. Tune in every Saturday at Noon ET for all the latest conservative news.